While many technology pundits feel future Internet access will be primarily delivered over wireless networks, there’s no denying the extra bandwidth provided by fiber optic cable. It remains the primary reason why many cities hope Google Fiber and AT&T GigaPower come to their town soon. 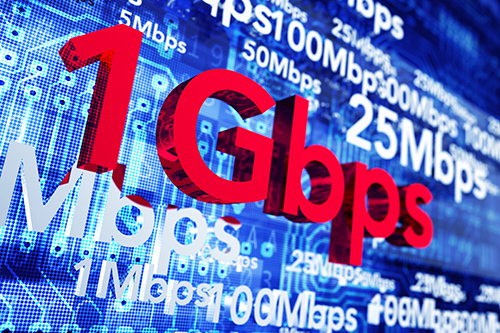 One gig Internet service is simply the current gold standard for home customers. One company largely left out of the residential Fiber game so far is Verizon. Their FiOS service hasn’t seen significant expansion in a few years. But it looks like things may be changing as Verizon announced plans to buy the fiber optic network of XO Communications. Read further for more details on Verizon’s strategy and how it may affect the Internet providers in your city. Diving more deeply into the details of Verizon’s XO fiber optic network purchase reveals the move doesn’t necessarily mean Big Red is planning on increasing its residential fiber footprint. In fact, most of XO Communication’s fiber network serve businesses. With the wireless market becoming increasingly saturated, Verizon is simply looking at other revenue sources to better compete in all markets. The existing XO network gives Verizon valuable fiber and Ethernet connectivity it can now market to business, as noted in Fierce Telecom. But there is another reason behind this XO acquisition. Part of Verizon’s XO Communications deal gives them the ability to lease LMDS wireless spectrum in the 28 GHz and 39 GHz bands with an option to buy. LDMS stands for Local Multipoint Distribution Service. If that seems overly technical, simply understand that Verizon wants access to those bands to facilitate testing of its 5G wireless network technology. In fact, this is arguably the news from Verizon’s XO purchase with the greatest potential to affect how you get your Internet access. The company plans to ramp up testing of 5G with an eye at getting the technology into customers’ hands within the next 2-3 years. Verizon’s Vice President of Network Technology and Planning, Adam Koeppe commented on Big Red’s big plans. In short, Verizon expects to be the first major carrier with 5G service. Needless to say, both T-Mobile and AT&T raise doubts about Verizon’s claims, worrying about network fragmentation and other issues. Stay tuned to this battle over a new wireless standard for the next two years. Maybe you will be able to test your Internet speed over a 5G network isomer than you think.